The early 2000’s were quite a time in music. With Brittany Spears, N*SYNC, Backstreet Boys, and Destiny’s Child, the radio was filled with some of the poppiest pop music that ever popped. During this era of pop overload, the was the rise of pop punk, the oxymoronic genre that melded pop sensibilities with instrumentation of punk rock. One of the genre’s most prominent groups of the time was Simple Plan with their double-platinum debut album No Pads, No Helmet….Just Balls. The first single from this album was “I’m Just A Kid” which would be featured in films like Grind, The New Guy, and Cheaper By The Dozen. 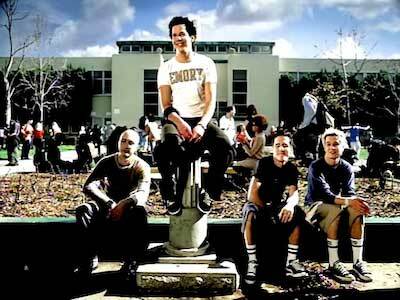 The music video was filmed at Long Beach Polytechnic High in Long Beach, California, the same school that once taught Snoop Dogg and Cameron Diaz. The song is about how hard it is to be a kid. There’s the overwhelming sense of loneliness that everyone gets as a teenager. It’s that feeling that world doesn’t care about you in the least, so you spend most of your days locked in your bedroom. “Staring at these four walls again” as the singer puts it. However, unlike most social outcast anthems of the genre, there is no happy ending in this song, as it ends with the singer stating that he’s all alone tonight and no one cares. You can’t strike a rock star pose without chucks on your feet. The music video is your typical high school drama where an average guy attempts to impress a popular girl. He does this by performing dangerous stunts, but not so fast as other, more popular boys interrupt him to take his place. For the most part though, they fail and are injured in the process, as Simple Plan looks on with pained expressions of pity. Like many videos from this era, the band holds a concert in the high school gym. 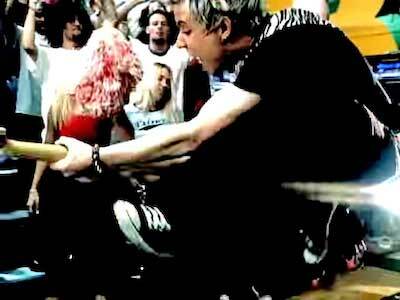 The video features one member of the band, and several of the students at the high school wearing chucks. This video can be looked at as a snapshot of the time, both musically and culturally as we see the emotions, fashion, and music people had and enjoyed just 15 years ago. 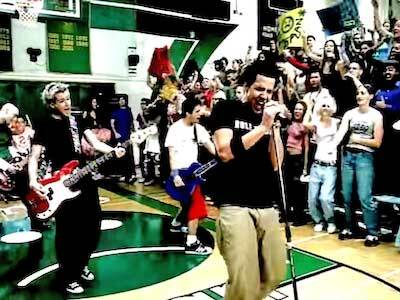 Seriously though, what was it with music videos in the early 2000’s that everyone needed to be filmed in a high school? Get a new pair of chucks to perform in by clicking on the links below.